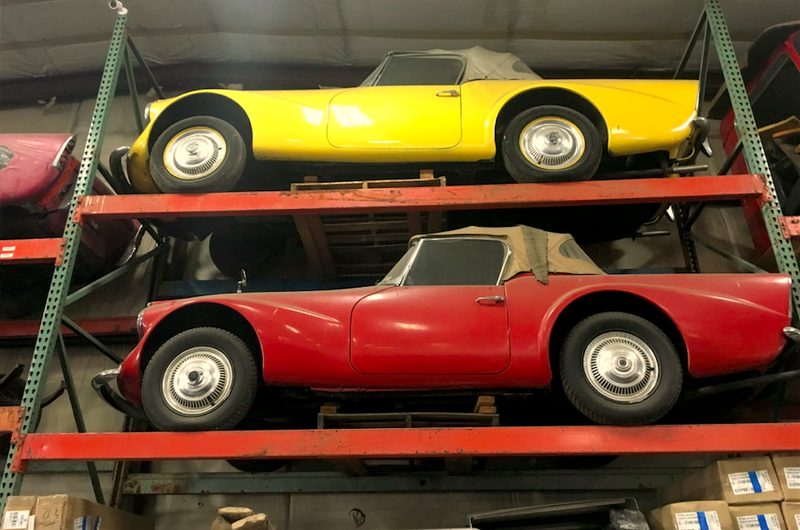 A Washington car collector named Ralph found a lot of five Daimler SP250s at an estate sale, and now those cars—which had been stored on shelves in a warehouse for quite some time—are for sale on Craigslist. Ralph told me over the phone that four months ago, his friend found these cars 15 miles from Ralph’s house in Washington and said “You’d better go down and take a look at this.” So Ralph did. Ralph learned that the previous owner, who had apparently owned a trucking repair company, had passed away, and the five rare SP250s that he’d been collecting since the 1970s were up for grabs, just hanging out on warehouse shelves. There were really only about 2,645 SP250s ever built between 1959 and 1964, but it wasn’t because they were’t amazing vehicles. By many accounts, the hemi V8 engine was among the best British sports car motors ever designed at the time; put under a reasonably-lightweight fiberglass body, and the car was a bit of a hot rod, even if the looks took a bit of getting used to. 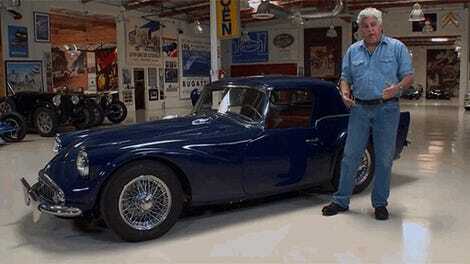 The ones shown in Ralph’s pictures are all left-hand drive, which makes them even rarer. According to J. Stein’s book “British Sports Cars In America,” there were only between 639 and 1,210 left-hand drive cars ever built in all markets. So you can imagine how few there are left just in the U.S.
Ralph, who runs a place called H&H Classic Cars, but who fancies himself more of a collector than a salesperson, is going to let these five cars go, as they’re just too big of a project (and also, he’s rather tall, and doesn’t fit in them). He’s selling the whole lot—including spare parts—for $65,000, telling me over the phone that that’s not far from what he paid for them. Two of the little SP250s are from 1960, and the rest are from 1962, 1963 and 1964. One of them runs (Ralph sent me a video of it idling), and the rest turn over, Ralph tells me. So if you’ve got quite a few extra coins in your pockets, and you’re looking for an ultra-rare, V8-powered British sports car from the 60s, you can now buy five on Craigslist.